Well, I am a little embarrassed by this post. 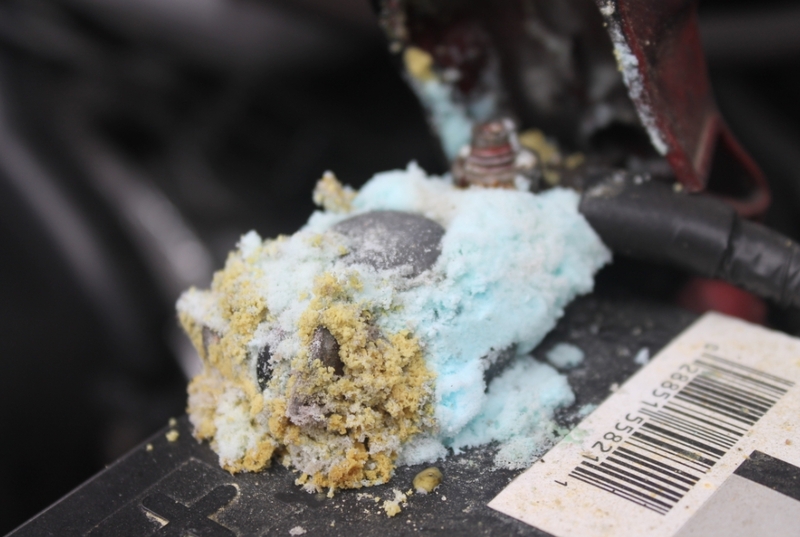 I had noticed my battery terminal on my 97′ Toyota 4runner was growing a little fuzz on it and basically just ignored it. I could have probably saved a little cash by just cleaning it up to begin with instead of letting it get so bad. When I did try to clean it things just got worse as the metal was corroded and broke. Disclaimer: This post is for entertainment purposes only. I am not responsible if you damage your vehicle or injure yourself if you decide to try anything I do on your own vehicle. If you are unsure on what you are doing please seek out a professional to assist. (I am not a professional mechanic. ) . Also some links on this site are amazon affiliate links. This means I may make a small amount of money if you purchase the item. This is at no extra cost to you. This is what I had been ignoring. 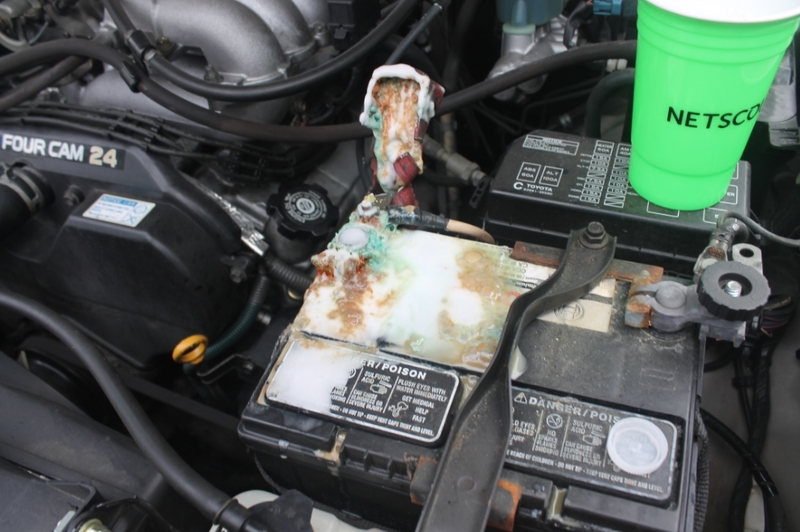 You can see the battery terminal corrosion was getting pretty bad as it was creeping out from under the positive battery cover. Popping off the cover you can see it was pretty bad. 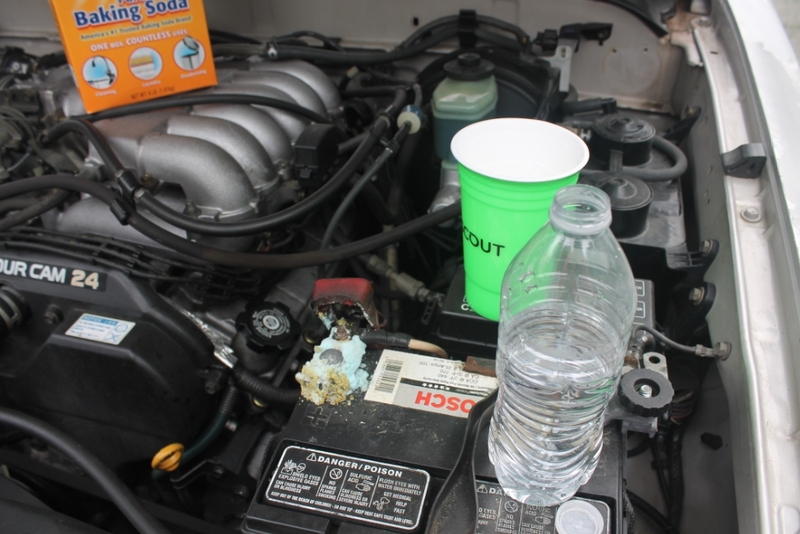 When I finally got around to taking care of it, I did a little online investigation and read that you can use baking soda and water to neutralize the acid. I decided to give it a try. Once I was done cleaning it you can see the metal was in bad shape. 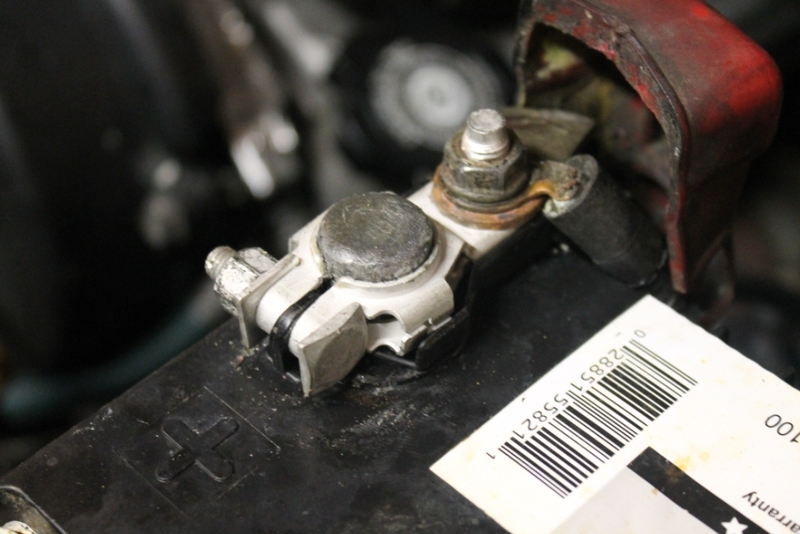 Basically I broke the Battery terminal when I tried to remove it to clean it more. 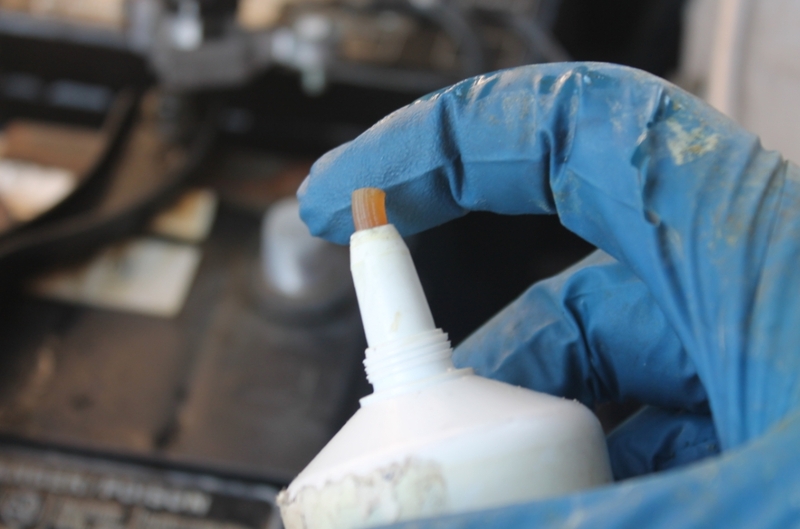 The corrosion had really weakened the metal and after I tried to loosen it, it would no longer make good contact. I had no choice but to replace it. I ended up purchasing mine new terminal off amazon HERE. 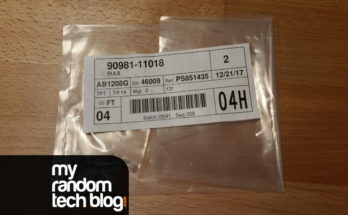 It was nice as they had free one day shipping and was a great price for a factory OEM made by Toyota part. I thought about going with a cheaper model, but decided to stick with OEM. 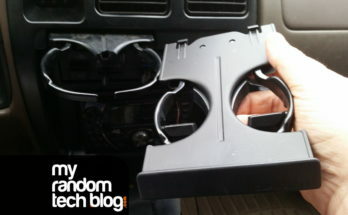 If you need the part number this is what I used for my 97 4runner. 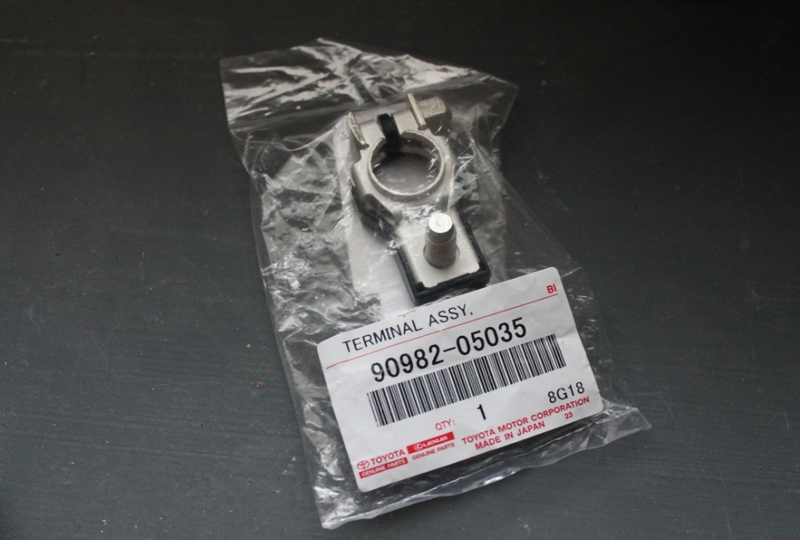 Toyota part number : 90982-05035 One thing to note is this is for a positive terminal. The neg terminal has a different part number. Here is a picture of it after it arrived from Amazon. 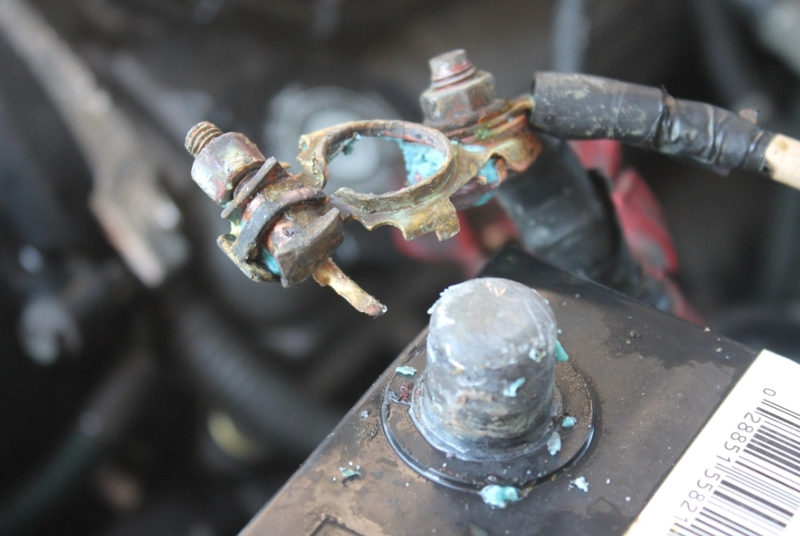 Now I decided to treat both of my battery terminals with a little coat of No-Ox-Id-A Special compound (Here is a LINK for it in case your interested ) to hopefully prevent this from happening to me in the future. I had used it for industrial battery terminals in the past. You can read the reviews on it. I always found it to be great stuff. Here it is, the new terminal in place. If I had taken better care and prevented the corrosion in the first place I would not need to go through the hassle of buying a new terminal. I plan to go and check my other cars this weekend and apply a little “no-ox-id a” to their terminals as well. 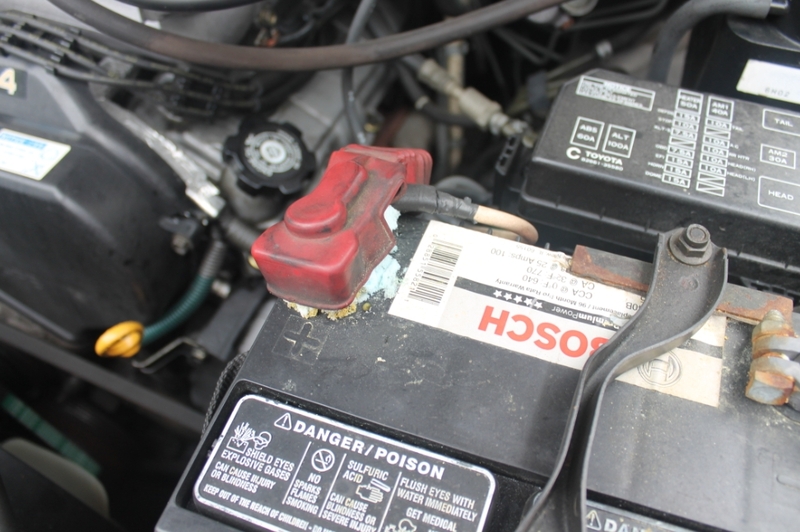 I will also update my 4runner cheat sheet HERE with the part number for the battery terminals.